You may recognize the name Natalie Grant as a four-time Grammy nominated vocalist, but did you know that she’s also a writer and the official spokesperson for the Faithgirlz brand of books and Bibles? I had the opportunity to read the first two books in Natalie’s Glimmer Girls series, written for girls ages 9-12. The series seems to have been inspired by the author’s own life. The book features 10-year-old twins Mia and Maddie Glimmer and their little sister Lulu. Their mom, Gloria Glimmer, is a famous singer; their dad is a music producer. Natalie Grant’s husband is a producer/songwriter and they have three girls – twins with a younger sister). As someone who’s been a voracious reader since she was a little girl herself, I can’t help but to think how much fun it must be for her kids to be able to read books with characters who are inspired by them! In the first book, London Art Chase, Gloria Glimmer is on tour in London and the entire family (including the nanny, Miss Julia) tags along for some fun and sightseeing. From the first pages of the story, we learn that Maddie is the “artistic” younger twin, and Mia is the older twin who’s an avid reader. The books are written in third person omniscient point of view, with the artistic Maddie as the star of London Art Chase. The second book in the series, A Dolphin Wish, focuses on Maddie’s twin sister Mia. This time they’re vacationing in a seaside bungalow at a resort in San Diego and get to visit Captain Swashbuckler’s Adventure Park. (And if they ever make a real Captain Swashbuckler’s Adventure Park, I definitely want to visit it, it sounds like a lot of fun!) Mia is feeling sad after Maddie’s adventures in London, so when she overhears that animals are being set free from their habitats in the park, she’s determined to solve the mystery. Unfortunately her motives aren’t entirely pure, which causes some tension between her and the rest of the family. But with some help from her sisters, she starts making headway on the case – just as it’s time to pack up and go home. Will she figure out who’s releasing the animals? Will she be able to solve the mystery in time? Once again, this book ties up all the loose ends neatly by the last page. From a technical standpoint, these books are well written and well edited. There are some cute black and white illustrations in the books, but not a lot. These are uplifting Christian-themed stories (as you may have guess from the name of the brand) written for girls in the 9-12 age range. However, they’d also be perfectly suitable for advanced younger readers who are ready for chapter books, as there’s no questionable content whatsoever. The books contain positive morals and teachings, but without being overly preachy about the message. You can learn more about the Glimmer Girls and the entire line of Faithgirlz products by visiting their website and following them on Facebook, Pinterest, Instagram, and YouTube. The Glimmer Girls books are also available on Amazon. One lucky reader is going to win paperback copies of the first two books in the Faithgirlz Glimmer Girls series by Natalie Grant! 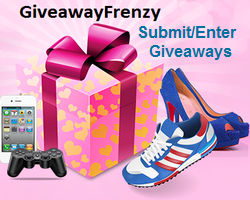 Enter on the Gleam widget below for your chance to win! $14.65 ARV. Ends March 22nd at 11:59pm EST. Only one entrant per mailing address, per giveaway. If you have won a prize from our sponsor Propeller / FlyBy Promotions in the last 30 days, you are not eligible to win. Or if you have won the same prize on another blog, you are not eligible to win it again. Winner is subject to eligibility verification. No purchase necessary. The number of eligible entries determines the odds of winning. Must be at least 18 years old to enter and reside in the United States. The winner will be chosen at random by Gleam (subject to verification) and will be contacted by email and announced here after the close of the contest. The winner will have 24 hours to respond, otherwise a new winner will be chosen. This giveaway is not associated with Facebook, Twitter, Pinterest, Linked In, or any other organization unless specifically stated. Void where prohibited. This entry was posted in Book Reviews, Giveaways, Reviews and tagged Books, Giveaway, Kids, Product review by Tara.Bookmark the permalink. I would like to have the NIV Faithgirlz Bible.